Please welcome to the Editor’s Q&A corner Mothers Always Write Editor, Julianne Palumbo. 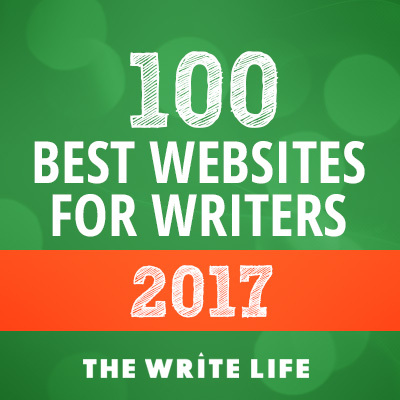 Julianne shares what types of literary essays and poetry they love to publish, upcoming themes, the benefits they offer writers (including some paid opportunities) and more! Q: Mothers Always Write (MAW) is ‘a literary magazine by mothers for mothers’. Can you share how and why you started the site and the type of stories you publish? need for more publishing opportunities for literary mother writing. I wanted MAW to be a place that offers writing about the way motherhood is not how someone says it should be. Soon after launching MAW, I was so blessed to be joined by our editorial staff, Sarah and Michelle, who join in this vision and bring so much talent to the magazine. MAW publishes personal essays–narratives that present true stories from a mother’s (or father’s) point of view, written in a style that has literary merit. We also publish poetry (free verse preferred) that offers new insight into some aspect of mothering. Q: I know you have issues as well as blog pieces that you publish. Tell us about your publishing schedule for those. A: MAW is released monthly on the third Monday of the month. Our issue typically includes eight poems and four essays. During the balance of the month, we will publish blog pieces on Mondays and sometimes poetry on Fridays. At times we also publish special pieces during the week, like a writing column that we were featuring for a while on Thursdays. 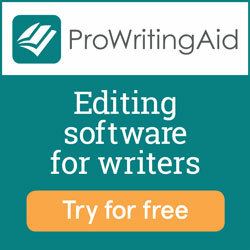 Essays selected for publication in the monthly journals are paid. Monday blog pieces are not. We tend to prefer themed pieces to general themes but are always open to both. Our primary focus is always on the quality of the writing. Q:Let’s talk through the 3 categories that you cover with the literary essays and poetry you publish. A: As far as the categories we publish, we identify them loosely as either pieces about newborns, toddlers to teens, or the empty nest. Our goal is to provide reading for mothers at all points in the timeline. Q: You accept several formats including personal essays, book reviews, poetry, columns, and blog posts. What qualities stand out to you in a great submission for each of these? A: The strongest essays are personal narratives that have literary quality, meaning that the way the message is presented is as important as the message itself. We believe that literary writing should leave a lasting impression on the reader through the use of literary devices, offering the reader an experience. Language, itself, is the goal. The narratives should represent true stories of parenting and should fall into one of two categories: micro-nonfiction (up to 300 words) or longer essays of up to 2,000 words. As far as blog pieces, we are looking for strong writing that speaks to motherhood, but we don’t hold out so much for literary style. We gravitate toward writing that is nonjudgmental and is universal in its message. We avoid the political and the trendy as well as anything that falls into the “how to” category. For poetry, we seek free verse poems that display a high level of craft and strong imagery while offering something new and insightful. We don’t tend to select formal poetry or rhyme. We do occasionally accept unsolicited book reviews, but more often we assign those internally. Our book reviews are limited to books (including books of poetry) that address topics of motherhood. Q: What about the themes listed on your submission guidelines page. Which pieces do those apply to and what are some of your upcoming themes? A: As far as theme writing, we love to receive essays, blogs, and poetry that are on theme. We interpret our themes very loosely and are thrilled when we receive pieces that reflect our themes in unusual ways. Our upcoming March 2017 theme is journey/travel, and for April we seek writing on the theme of April showers and the cleansing power of a spring cleaning. What can/should we get rid of? What weighs us down? What clutters our mind, body, and soul? What is there too much of in our lives? All of our themes must be written in a way that relates to motherhood. We always accept open submissions as well. Q: Share with us a few of the pieces you’ve published that have really resonated with readers. A: Two pieces published by MAW that were particularly well received were Don’t Tell My Daughter She Looks Like Me, about a mother recognizing her daughter’s need to be an individual, and The Babies You Lose, a short and powerful piece about pregnancy loss. A couple of incredibly well-crafted poems that have really lingered are Hold and Bean Saving, both published this year and nominated for the Pushcart Prize. Q: How can someone reading this submit? A: The process for submitting pieces should begin with the writer reading through a few recent issues of our magazine to get a sense of the type of writing we publish. Then they should read through our Writers Guidelines to make sure they follow all of our specifics with respect to submissions. On our Writers Guidelines page, writers will find our Submittable link where they can submit with a cover letter that includes a short 3-4 sentence third-person bio. A group of poems (up to 3) should be submitted as one submission. We are not particularly picky about writers submitting more than one piece at a time but would like to see no more than two essays or up to three poems and an essay from a writer. Our turnaround time tends to be very quick, sometimes as little as a couple of days and seldom longer than a month. We will send a letter whether a submission is accepted or rejected. While we often do minor editing, once in a while we offer to work with the writer on a more in-depth basis if we really think something has potential. Q: What benefits (including payment) do you offer your writers? A: We strongly believe in the community of mother writers. Our editors are approachable and are happy to support our writers in any way we can. As far as benefits for writers, we pay $25 per essay published on our monthly issue (as opposed to blog pieces). We promote our writers on our social media, not just for pieces we publish, but also often we’ll share pieces our contributors publish elsewhere. We offer participation in our private FB group for contributors where writers will find a very active and supportive group of mother writers who share ideas, publications, and enthusiasm for each other’s endeavors. We also offer the opportunity to participate in writers critique groups, matching up new members with other writers with whom they can share work. We select at least one submission per month submitted by a fledgling writer and offer to work with that writer to bring the piece to fruition. We also nominate for Pushcart, Best of the Net, and Best New Poets. Finally, we offer literary writers boot camps for writers who want to work one-on-one with us to improve their writing. Q: What rights do you ask for? A: We ask for first serial rights. All other rights revert back to the author after publication. We do ask that authors mention that work was first published in MAW for future reprints. Q: Do you ever accept previously published work or work from international writers? A: We do not accept previously published work. We are thrilled to have published mother writers from all over the world. Q: Can you share some highlights from your first year editing MAW? A: One of the highlights of this past year for MAW was that we were able to raise money in honor of our first anniversary for an organization called Together We Rise. This unique organization was started by college students to help children in foster care by providing them with suitcases and other items that make moving around a little more comfortable. With the money we raised, MAW was able to donate 16 suitcases to a local foster care agency. Another highlight was the launching of our Literary Writers Boot Camps, which have been very well received, have produced some great writing, and are so much fun for us editors as well. Q: What is next for Mothers Always Write? A: What’s next for us? Well, we’d love to continue to publish the highest quality literary writing about motherhood. We have a Literary Boot Camp happening now (March 2017), and plan to offer these workshops more regularly. Our editors love working one-on-one with participants, and we are so thrilled when we have the opportunity to publish many of the essays that come out of our camp. Our primary goal is to continue to grow our readership and contributor’s list, one reader/writer at a time. With divisiveness growing by the day in our world, we hope to unite mother writers and readers through motherhood, to help us to focus more on the common bond of loving our children than on the things about which we disagree. One of our long-term goals is to produce an anthology of motherhood writing. Stay tuned for that!